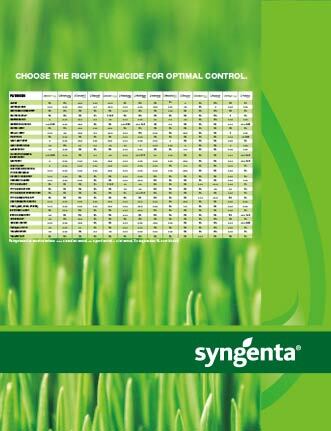 View the Labels/SDS information for Daconil Zn Flowable Fungicide. Daconil Zn® provides excellent once-a-year disease control. It can be used up to twice a year on golf tees and greens. It is registered to control 13 turf diseases and algae in turf. It is also registered for control of 50 diseases on over 75 ornamental plants. It contains 38.5% active ingredient. A built-in surfactant is included to provide superior sticking power for extended coverage even after heavy rains or watering. Daconil Zn®, Greencast® is a trademark of a Syngenta Group Company. Heritage®, Banner Maxx®, and Subdue Maxx® are trademarks of a Syngenta Group Company.